Welcome to my Friday the Thirteenth blog. Some are, of course, unhappy with the day/date combination believing it to bring bad luck. Not so my late father-in-law who was born on a Friday the thirteenth and, throughout a long and generally very happy life, maintained nothing could be luckier. Odd thing, superstition. You’ll have a summer of wet and splash;When the ash comes out before the oak,You’ll have a summer of dust and smoke. 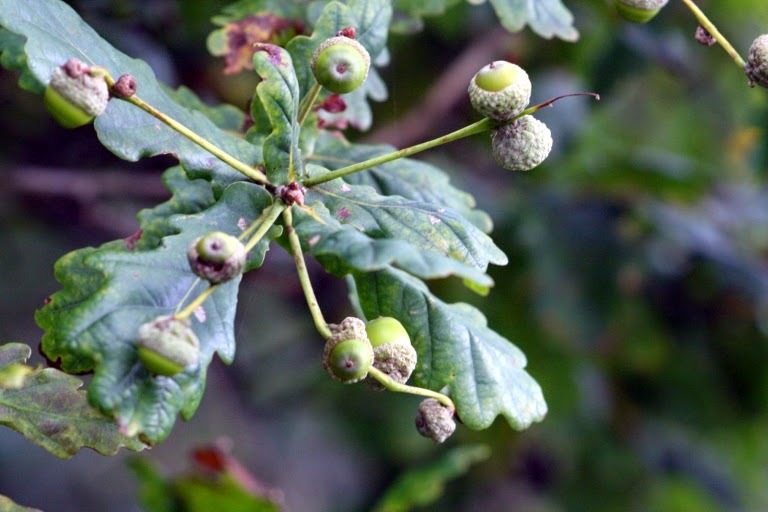 Most years, of course, the oak and ash ‘come out’ at the same time in that in both cases the leaves begin to burst out of the buds at the same time. When that happens, Marcia and I call it a ‘sploak’. Marcia and I have paid close attention as to which comes first for many years and made a couple of interesting (if unscientific) discoveries. The first is that for there to be any accuracy, there has to be somewhere where trees from both species are standing close together. Only then will all other factors be removed: height above sea level (which equals differences in both air and ground temperature), exposure to winds and so on. Thus it is that when we find such a pair, we call them a ‘sploakometer’. The second discovery is that the old rhyme does seem to be right. On the rare occasions when one or other comes out significantly earlier than the other what follows is as predicted. How can that be? How can a couple of trees ‘know’ what is going to happen to weather in future months? The only explanation can be that they don’t but that minute variations (far too small for us to recognise) in conditions over the months preceding each spring create some sort of pattern which determines both when the oak and ash leaves come and the weather conditions to follow. 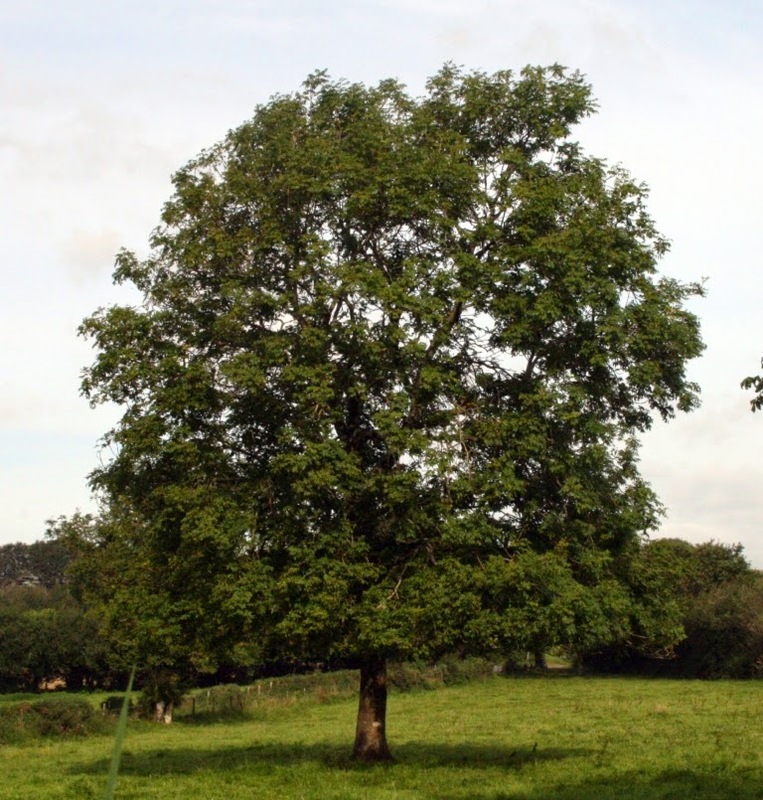 Sadly the fate of sploakometers in the UK is at risk as a fungus that is gradually killing the vast majority of our ash trees spreads across the country. 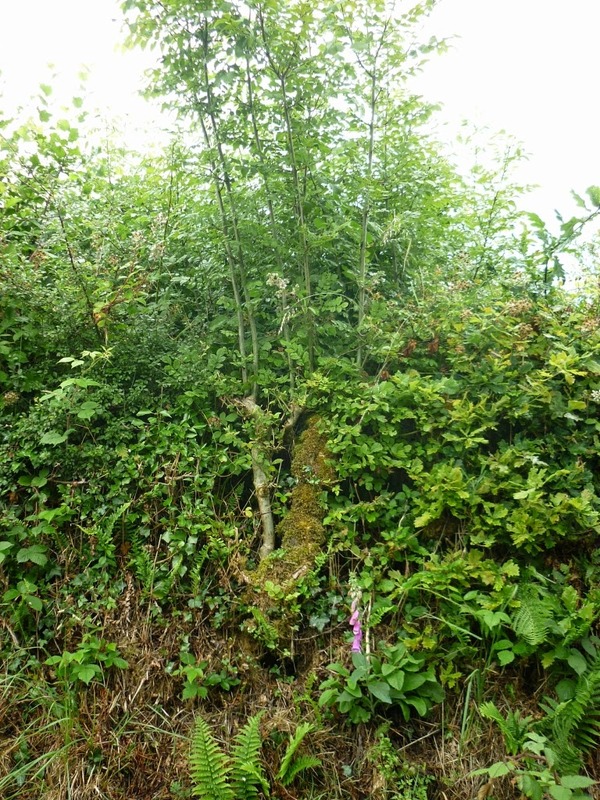 We have a one mighty ash in the front garden and a few youngsters growing alongside the boundary to the rear. We would both be very saddened were anything to happen to them. I have no doubt that there will evolve a strain of ash that is immune to this fungus in the same way as we are now seeing elm trees which are immune to Dutch Elm Disease establishing themselves. Even so, it means that there will be areas of the country where the landscape will be altered for ever. 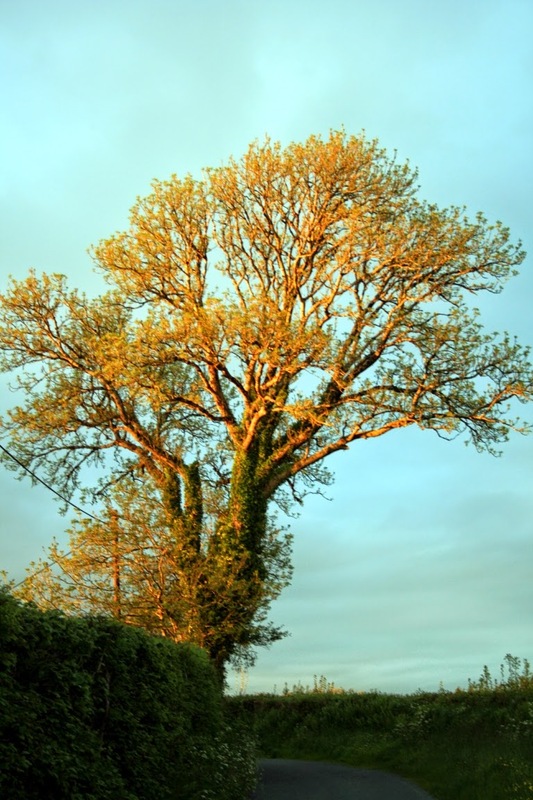 Although the oak was undoubtedly the most venerated of our trees (it was, of course, sacred to the Druids who took their name from the Greek word for the oak, drus) the ash was often involved in some bizarre forms of medical intervention. Incidentally, when we say ‘touch wood’ we are following a custom far older than the birth and death of Christ and the wood in question was, of course, the oak. Do you have a child suffering from rickets? Nowadays you might be tempted to believe the youngster to be short of Vitamin D but a few centuries ago you would reject such an implausible idea and realise that the only sensible cure would be to invoke the spirit of the ash. Accordingly you would find an ash with a trunk of less than a hand span in diameter and you would split it with a sharp axe, heavy knife or bill hook. The split had to be long enough so that on the following morning, just as the sun was about to rise, you could take the child and, after stripping it naked, open up the split and pass the child through it. That done, the trunk would be bound back together and the wounds sealed with clay. Behold, as the tree healed so did the child – or so it was believed. 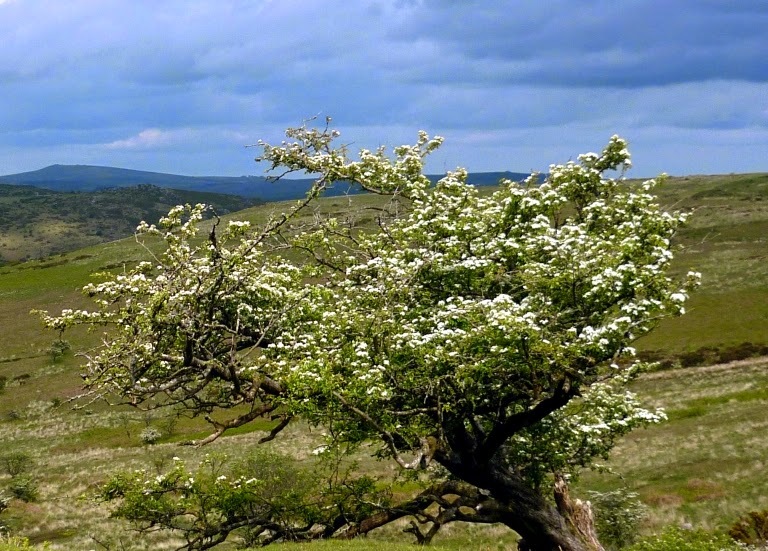 Hawthorn (or the May Tree) had an absolutely vital role for without it there would be no passion, no love and, obviously, no children. In those days the maypole would be made from hawthorn and it would be used to make the garland with which that summer’s ‘Green Man’ was crowned and the girls would adorn their hair with the May blossom. 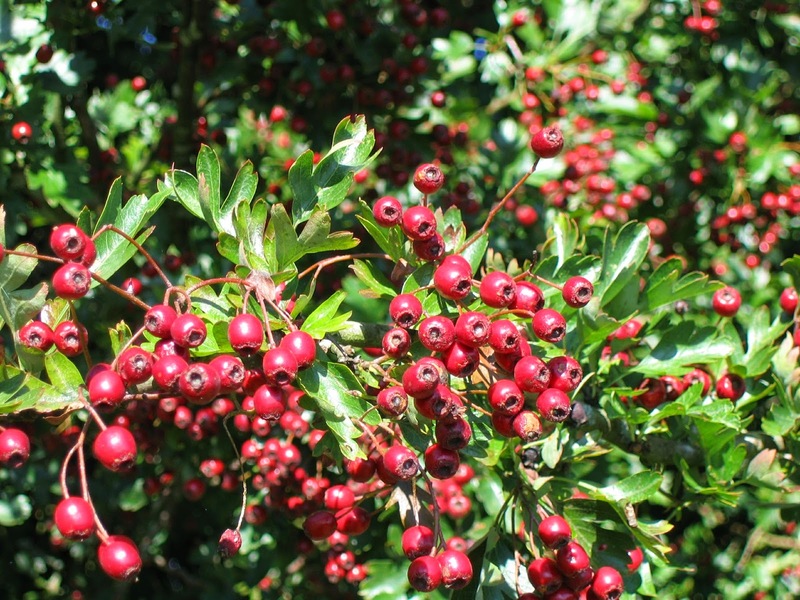 Obviously it was important to ensure that cows remained fertile and provided sufficient milk: a prudent cowman would hang a bunch of hawthorn outside his byre. Note the outside, bringing hawthorn indoors would be to invite bad luck – which brings us back to Friday the Thirteenth. 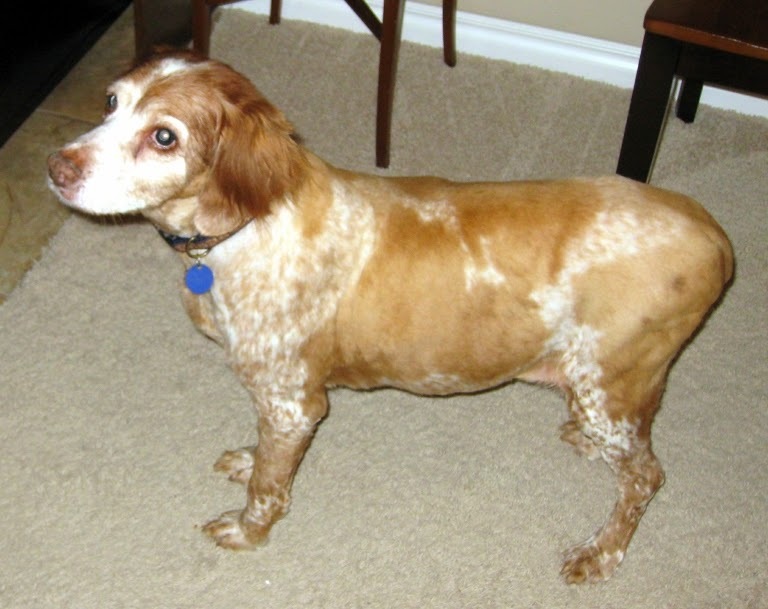 No matter how you look at Friday the Thirteenth, it was a lucky day for Sugar when she was rescued by Keith and Jeanne Giles: it's called falling on your feet. It took a lot of organisation to bring her over five hundred miles to the Giles' home and I am hoping that Jeanne will tell us how that was achieved in her comment this week.